The new timetables have started this week and one of the new services is First 81C which links Derriford Hospital with Torpoint and Cremyl. This brings the pink Tridents into Derriford. I do hope this service lasts although I do have my doubts. It does give another direct service from Derriford to the City so may pick up some passengers there. I will certainly look forward to using the service. Its just a shame it only runs Monday to Friday. I must admit I just thought it was on private hire or breakdown cover when i first saw it at Derriford. 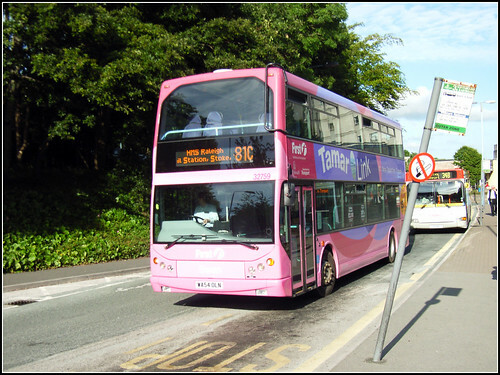 I used to use these '81C' buses a long time ago, when they were pink.